WHY THE CHANGE FROM FINANCE TO YOGA? When I noticed how my yoga practice was changing me, how I felt, and how I perceived situations, I decided I wanted to create a space to offer the same. For me, yoga has been a transformative experience and was and is still a form of creative expression. I am drawn to it and continuously want to explore. I am thankful for my background in finance which has made me very practical, rational and theoretical. Hence, I think of yoga as a science, while sequencing is fluid and creative, it is intelligent and informative with a strong focus on the physiology of the body allowing you explore the subtleties of the physical and mental facets of yoga. I came to Hong Kong last year to visit family and found myself missing my home studio where everyone knew my practice (and cared about my progression), my favourite food and life stories. I missed the connection and sense of community and thought Hong Kong could do with an inviting place with chill vibes to do yoga and hang out. People need yoga in this city – it’s so crazy. At Kita, we want to challenge students in their practice, have them grow and evolve, yet leave them with a sense of energized calmness. 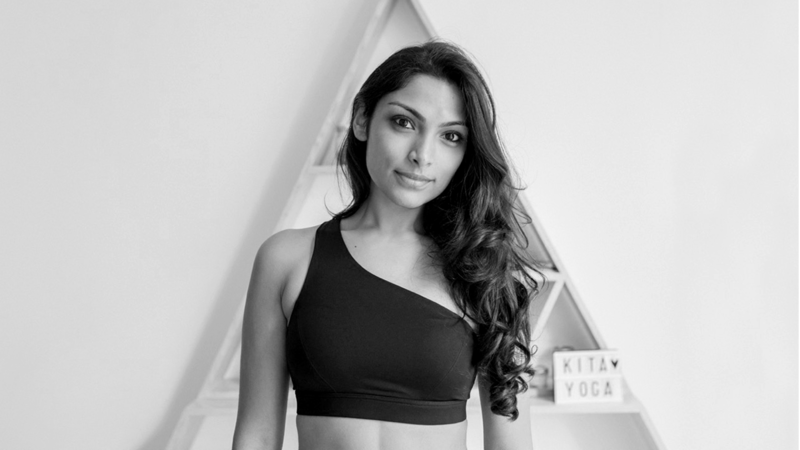 Ultimately our biggest focus is to create that connection and vibe where people never want to leave – where they take the yoga past the hours spent in class and become more conscious of themselves and everything around them. HOW CAN YOGA COMPLEMENT YOUR SPIN CLASS? First, you spin and then you stretch! The two activities complement each other very well to improve flexibility and overall fitness. Yoga will help you to loosen and re-oxygenate tight muscles post-spin, improve core strength and achieve greater body awareness, allowing you to recover quicker and improve your form, technique, and results for when your back on the bike. You will feel more expansive and free after stretching the hip flexors, quads, and hamstrings and with a stronger core will find more stability in your spin routines, preventing injuries and keeping your backs and shoulders safe from the riders hunch. Moreover, the breathing techniques harnessed in a yoga class will ease effort and improve stamina when spinning. Yoga to spin is how yin is to yang; it will restore your balance, calm the central nervous system, keep your cortisol levels at bay, flush the lymphatic system and transform your body and mind.